ALF Summer School will be held June 24 through July 19, 2019. There will be no classes on July 4 and 5 for Independence Day. Students are encouraged to attend the entire four-week session for the full benefit of the program. Classes are Monday through Friday in the mornings and students may choose up to three class periods. There is no class credit or homework. All students entering grades 1-8 may participate in ALF Summer School. Students should register for the grade they will be entering in the fall of 2019. Students entering kindergarten or T-K in the fall are not eligible. We do not require that the student live in La Cañada Flintridge. Registration will open on Monday, March 4, 2019 at 12:00 NOON and closes Monday, June 17, 2019 at 5:00 PM. Late Fees apply after June 1. Register early for the broadest selection of classes. The cost of the program includes the entire 4-week session. ALF Summer School does not offer 1-week sessions so you may not enroll a student for any particular week individually. Parents have asked if they can pre-register their student(s) in order to get through the registration process quickly. The simple answer is “no.” However, you may review the Preparing for ALF Summer School sheet to learn what information we will ask you during Registration so you can start gathering it together. Once you have created an account, most of the information will be carried over to the next program. You may return to your Online Registration Account at any time to update your information such as student address or parent contact phone number. If you have trouble registering, please call us at 818-790-2211. Full classes will be shown in red during the registration process. Simply enter the grade level and class period(s) for your student, and a full list of open and closed classes will be displayed. Popular classes fill quickly. If your student is not able to get into a particular class, you may contact the ALF Summer School office and ask to be added to a Wait List. If a space becomes available, we will then call you to see if you are still interested in the class. In the meantime, be sure to sign up for another class while you wait. Most students on the Wait Lists do not get placed in their preferred class as our drop-out rate is low. We realize that mistakes are made and sometimes students simply change their minds. We will transfer a student to a different class, provided the class is still available at the time of the request. You may email to programs@alflintridge.org or call 818-790-2211 to make this request. After the first day of Summer School classes, transfers will only be made as an exception and with the consent of the Summer School Chairmen. Cancelled classes will be identified during the registration process or later if the numbers are just too low to hold the class. Assistance League of Flintridge Summer School reserves the right to cancel a class that does not meet minimum student enrollment. Assistance League of Flintridge has a NO REFUND policy for philanthropic program enrollment. Also, we do not offer credits or refunds for partial attendance. In the event that a class is cancelled by ALF and there is no other class available for that student, a refund will be issued. A late fee of $30 will be applied per class to each registration beginning Saturday, June 1, 2019. A limited number of scholarships are available to La Cañada District students based on need. For more information and/or application forms, please contact the principal of the LCUSD school your student is presently attending. Sixth grade students entering 7th grade, may apply at the elementary or high school. All information will be held strictly confidential. Students who require medication to be taken during Summer School hours must have a Physician’s Recommendations for Medication form on file in the Summer School Health Office. The form must be updated every time a prescription changes and is valid through the duration of the summer session. A new form must be completed each year. Welcome Packets will be sent out electronically approximately one to two weeks prior to the first day of school. The email will include the Customer Statement showing the classes the students are registered in with room numbers, a map of the school and special instructions. If you do not receive this packet by Wednesday, June 19, 2019, contact the ALF Summer School office. Be sure not to “unsubscribe” from Thriva/Activenetwork, our registration and communications company, and check your spam regularly. ALF Instrumental Music offers classes to La Cañada students throughout the school year. During the summer, ALF Summer School also offers music classes for grades 4-6 (Beginning Band, Intermediate Band and String Orchestra.) Instrument rental is available for most instruments (except percussion) for a $50 fee paid at the time of registration. Students who have rented an instrument should receive their instruments on the first day of Summer School and must return them during the final week of July 15-19. A late fee may be incurred if the instrument is not returned to the instructor or to ALF by the end of summer school. Assistance League of Flintridge does not provide child care before or after school. 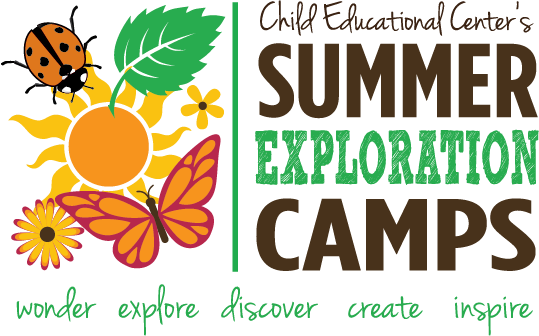 Summer Enrichment Camps are available through the Child Education Center and are held immediately after ALF Summer School at Paradise Canyon Elementary. Visit their website for more information and registration. 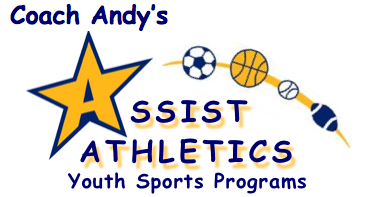 Coach Andy’s Assist will also be at Paradise Canyon Elementary for their Summer School Sports Blitz Camp. Sport Blitz will combine soccer, baseball, flag football and basketball instruction with Physical Education games such as Kickball, Dodgeball, Ultimate Ball, Capture the Flag, Obstacle Courses, Relays and many more! It’s non-stop action! Lunch will begin immediately following the ALF Summer School program. Participants will be brought to the car line at the front of PCY for pickup at 3:00 PM. More information and registration can be found on their website. For other La Cañada Unified District programs not listed here , contact the district directly for more information at 818-952-8300. DISCLAIMER- Assistance League of Flintridge is in no way connected with any child care or after-school sports program. The information provided here is for information purposes only. Initial infraction: The student will be warned and the warning recorded. Next infraction: The student will be warned and parents notified. The warning will be recorded. Final infraction: The student will be excluded from participation in the program. Program fees will not be refunded if a student is excluded from participation. In addition, Summer School principals set the Student Conduct & Responsibility guidelines for each school location. These guidelines are included in the ALF Summer School Welcome Packets that are sent to parents and also posted on the individual school pages on our website. Consistent daily attendance during the entire 4-week session is encouraged for the full benefit of the program. When a student is absent, a parent/guardian must contact the Attendance Hotline on the day of the absence. Please indicate the student’s first and last name, the date(s) of absence and a contact phone number in case there are questions. Assistance League of Flintridge is a nonprofit 501(c )(3) organization. Philanthropic Programs may not fall under the federal guidelines governing childcare facilities. We cannot provide tax advice and suggest you contact a tax professional with any questions specific to your situation. If you need a statement showing the classes your student(s) attended and the amount you paid, you may go to your Online Registration Account and print one. You may also contact the Programs office at programs@alflintridge.org or 818-790-2211 and we will email you a statement.